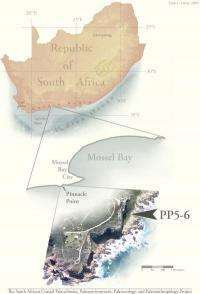 (PhysOrg.com) -- Evidence that early modern humans living on the coast of the far southern tip of Africa 72,000 years ago employed pyrotechnology - the controlled use of fire - to increase the quality and efficiency of their stone tool manufacturing process, is being reported in the Aug. 14 issue of the journal Science. 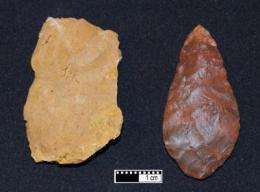 An international team of researchers, including three from the Institute of Human Origins at Arizona State University, deduce that "this technology required a novel association between fire, its heat, and a structural change in stone with consequent flaking benefits." 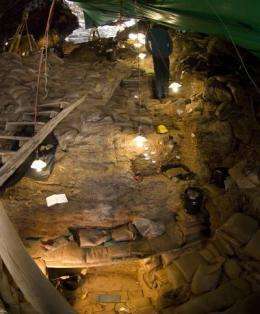 Further, their findings ignite the notion of complex cognition in these early engineers.